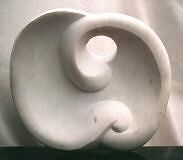 I carve stone: marble, limestone and alabaster. You can see some of my work by starting at the gallery page. Or read more about me.